I’ve been keeping a secret. Or rather, I’ve been too busy before now to share with you the fun, down-to-earth, yet fully ready for your enjoyment wine country based in and around Prosser, WA. 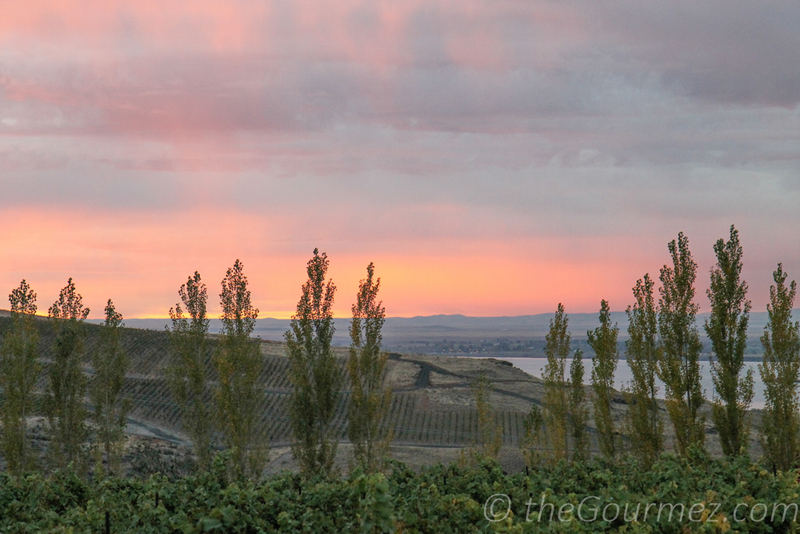 Sunrise at Destiny Ridge Vineyard. In October, I took part in a media trip covering the area, and boy, did we hit up as much as possible over two and half days! Obligatory disclaimer: The Prosser Wine Network sponsored this media trip, which means pretty much everything involved in this post was free to me to experience, taste, and enjoy. And enjoy it I did! 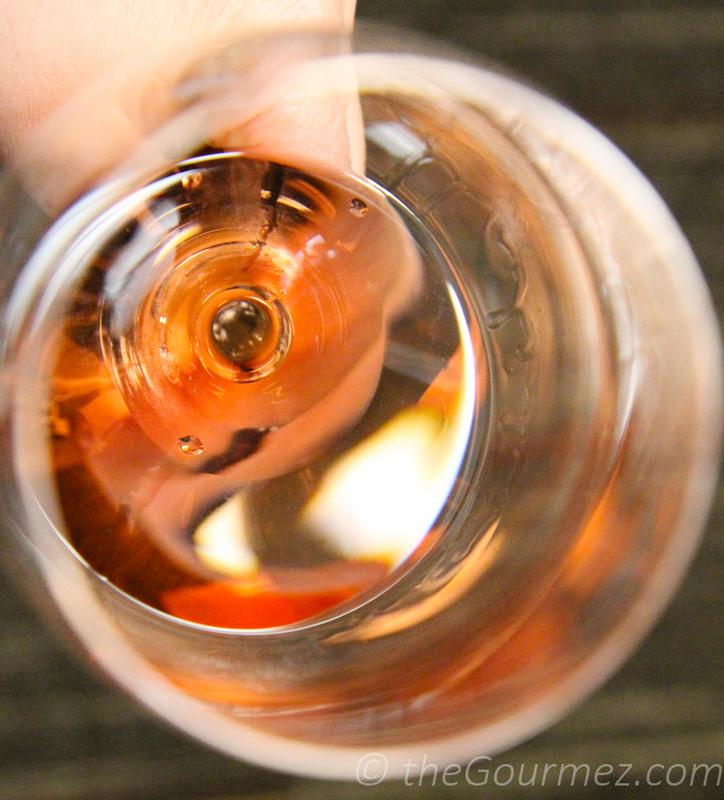 This is 14 Hands Reserve Rosé of Grenache 2015. 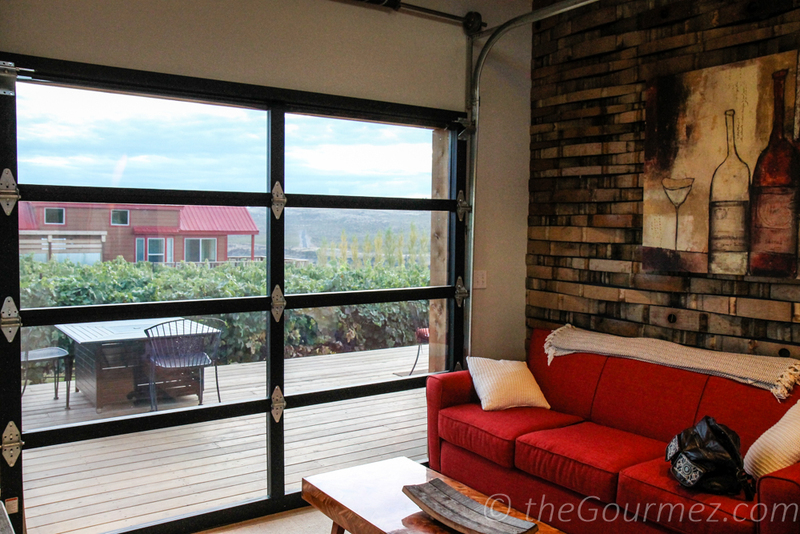 I thought I’d start out this series highlighting one winery—and its multiple wine experiences—as a stand-in for the Prosser wine country experience on the whole. 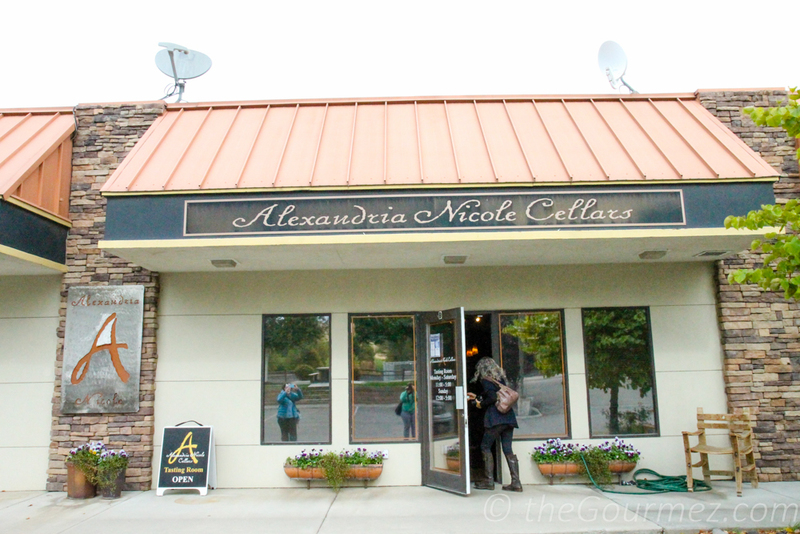 Alexandria Nicole Cellars is owned by a Prosser native, Jarrod Boyle, and his wife, Ali. Jarrod had already been learning the ropes of this wine-drenched region with Hogue Cellars when he came across a plot of land just waiting to be turned into the vineyard of his dreams. Luckily, members of the Mercer family who owned the land, one of two progenitor families of nearly all the wine-growing activity here, was friends with Jarrod and they partnered together on his dream, creating the Destiny Ridge Vineyard (158422 Sonova Road, Paterson, WA). 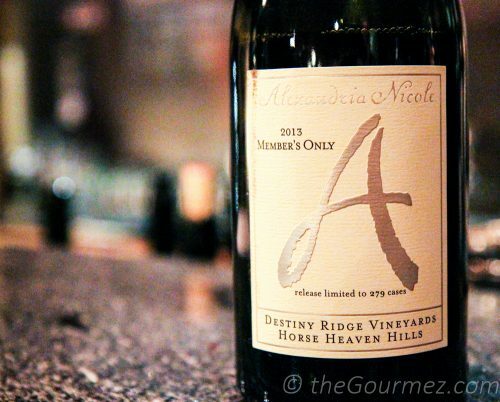 This is a common story among the smaller Prosser wineries; the Mercer and Andrews families have been instrumental in cultivating the area’s wine industry. Alexandria Nicole’s estate is located at the vineyard, a truly beautiful area of the Horse Heaven Hills where many of the Prosser area wineries grow their grapes … and I got to stay the night in one of their tiny houses in the midst of the vines! More on that later. 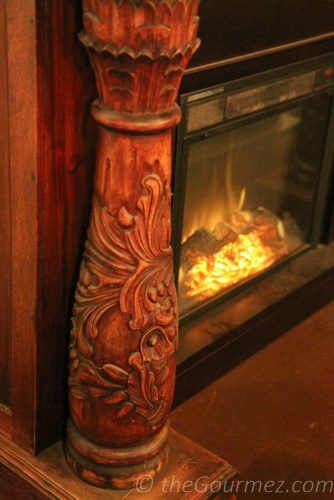 But first, you and I are heading to their Prosser-based tasting room (2880 Lee Rd, Suite D, Prosser, WA), housed in a small, but mighty, fancy strip mall that’s also home to Wit Cellars, which I’ll be mentioning in future posts. Being housed in a strip mall signifies the Prosser experience to me. Excellent wine tasting awaits — you just have to know where to look! 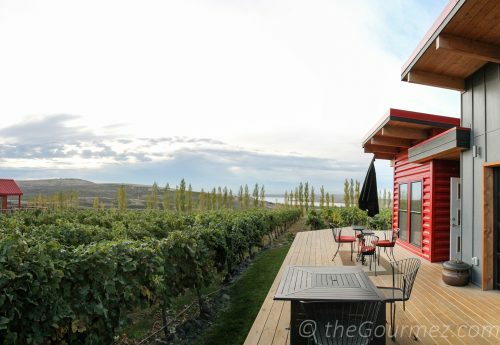 I’m hoping this series of posts will demystify that for wine travelers ready and willing to craft their own amazing vacation to the Prosser Area. At Alexandria Nicole, one place to check out, if you’re a wine member, is the secret lounge—yes, behind a movable bookcase. I love that! Playfulness is a characteristic I always support, and not one always found among the stuffier wine regions. The tasting room area that is open to the general public is plenty appealing on its own, especially the large fireplace. 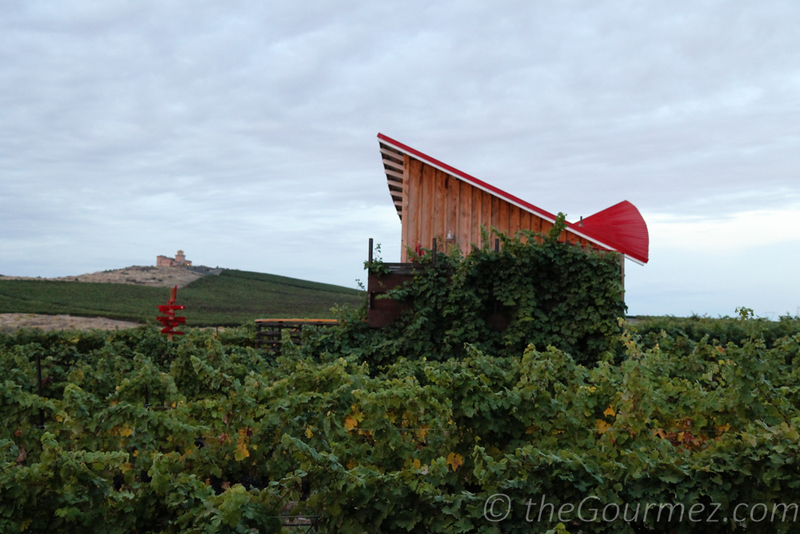 The wines have plenty of that playful spirit in them, too. The tasting room manager tried a few mystery wines on us, refusing to tell us what the blends were until after we’d taken a sip. 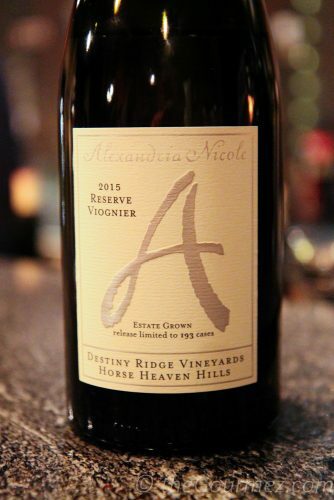 One of those, the 2013 Alexandria Nicole Member’s Only, turned out to be a grenache-syrah-mourvedre wine blended by wine club members! 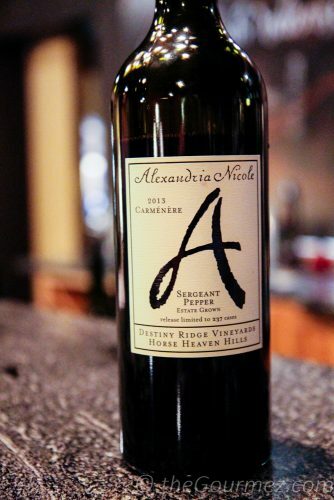 I also gave my highest score to the Alexandria Nicole Sergeant Pepper 2013 Carménère. For true wine fans, Alexandria Nicole extends their experience into those tiny houses out in the Destiny Ridge Vineyards, where visitors can also taste wines at the estate. 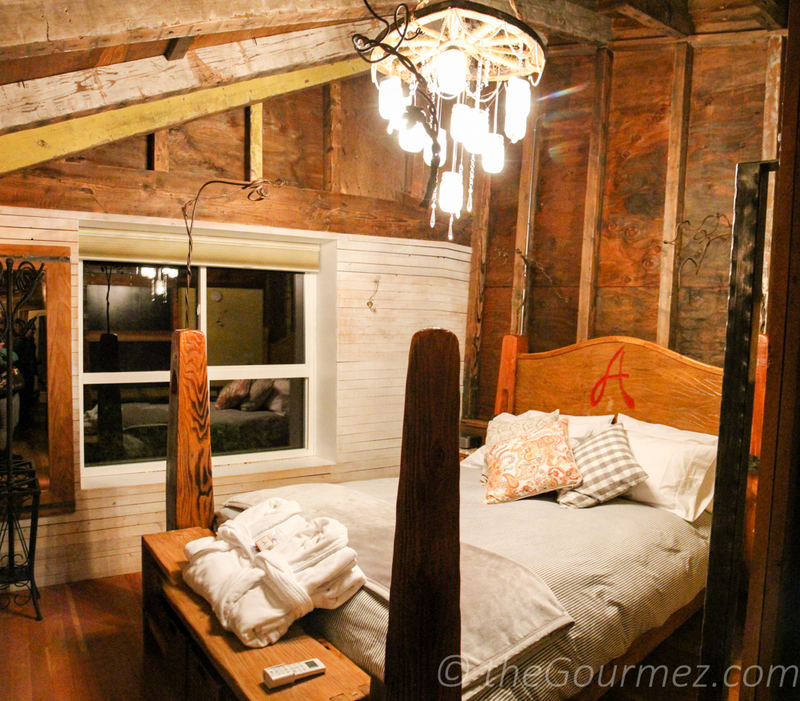 And staying overnight in a tiny home is such a memorable way to spend an evening or a weekend! 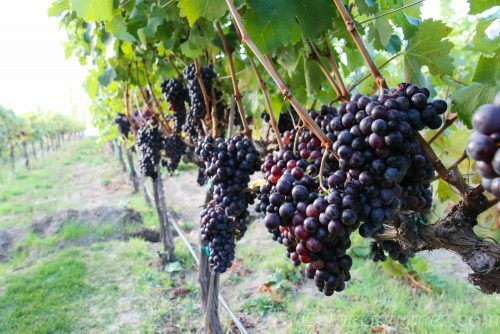 This is right in the vines, folks; in October, I woke to laborers in the midst of harvest around my tiny home, the Jet Black. 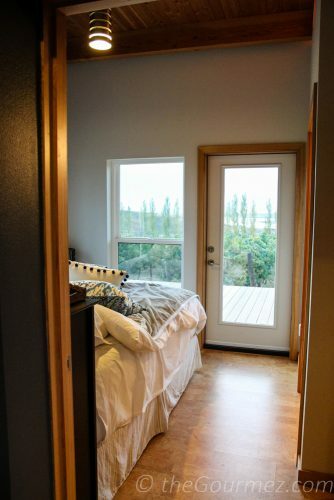 — and a window-wrapped bedroom overflowing with pillows. 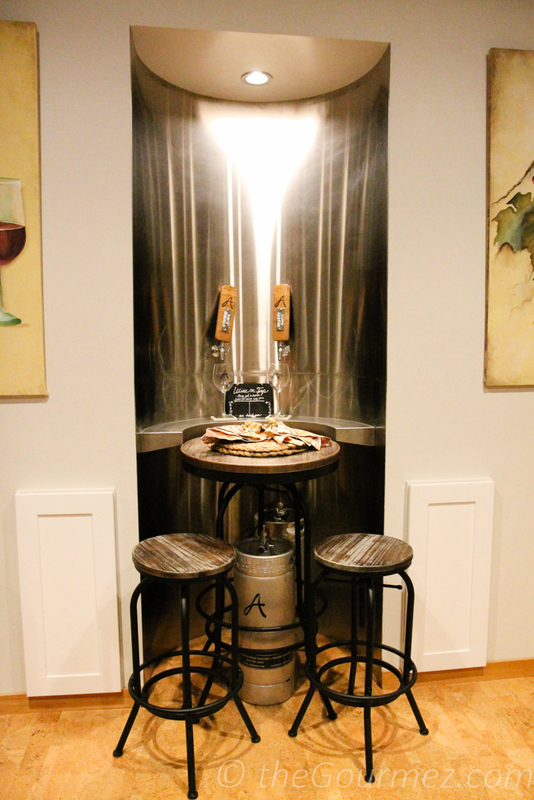 There are so many wine touches in the place, the best of which is a built-in tap pouring one red and one white Alexandria Nicole wine, paid for by an honor system of chalkboard hash tags. Folks, do not think cramped when you think of this tiny house experience. It’s closer to a deluxe hotel suite than anything else, even if you choose the Affinity House, the smallest of four at 218 sq. ft. The Jet Black is 400 sq. ft. and such a pretty place to stay. 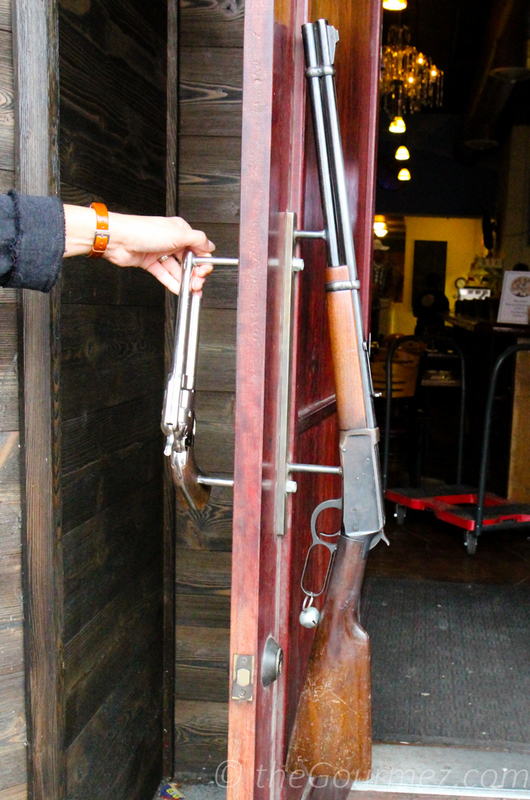 Here’s a Facebook tour I did of it early in the morning of our last day on the media trip. My new travel writing friend, Carrie Uffindell, stayed nearby at the Gravity home, which had more of a reclaimed industrial vibe that she loved. Heck, I loved it too. 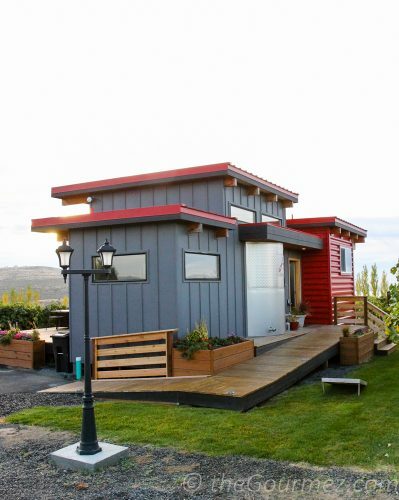 I would have been happy to stay at any of the tiny home options. My only words of warning about the experience is that you should be fully prepared if you want to spend a weekend disappearing into these vines. 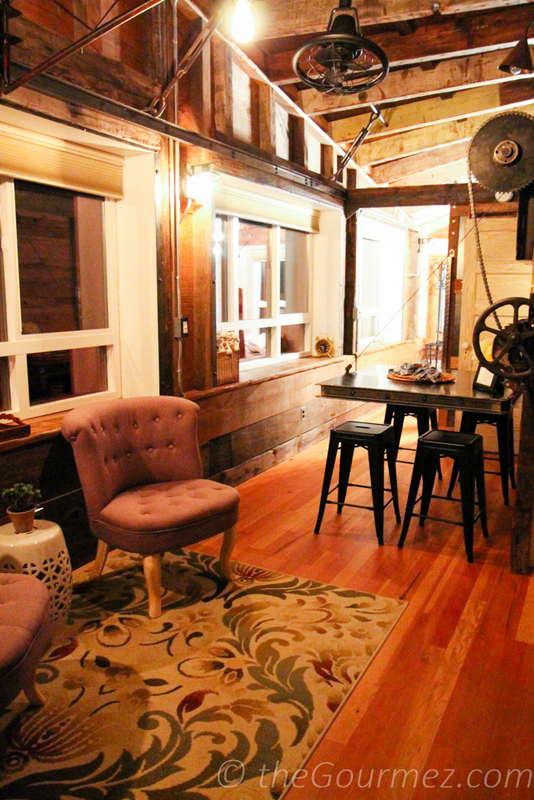 Marketing describes it as “glamping,” which it isn’t in the slightest, but it is a good 10 miles—that’s 10 country road miles—from any restaurants, stores, or civilization beyond what the Hills themselves can provide, so pack snacks! That remoteness is part of how Prosser, WA, came to be the central gathering place for everyone making a living out of the Horse Heaven Hills — people love to gather, even when spread apart, farming over the countryside. The city only has a population of 5,700 people, but there are nearly 40 wineries and tasting rooms represented within its boundaries! Thanks for the shout out, Becca! 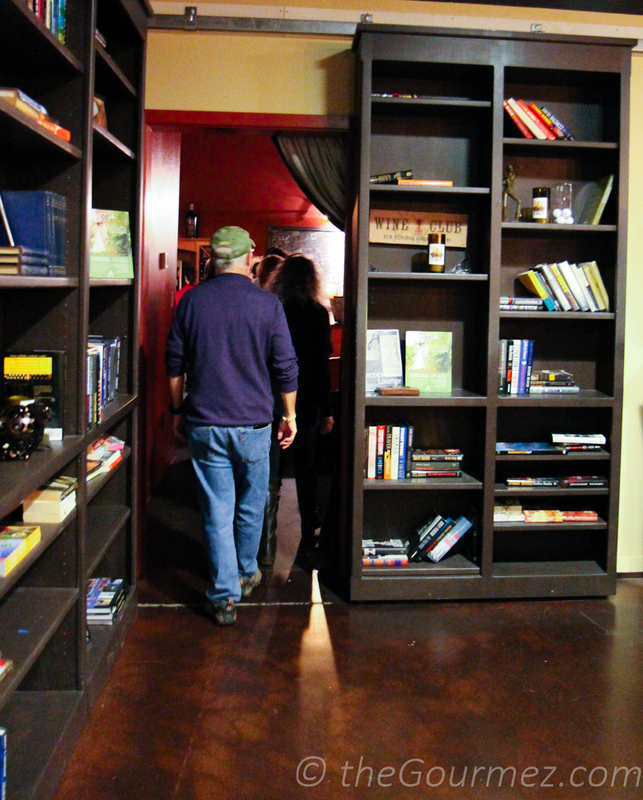 I had a great time exploring Prosser with you and look forward to reading more of your stories.